The 10th Annual Kyle Wilson Walk for Fitness will be held on Saturday, April 29, 2017, starting at 10:00 a. m. at C.D. Hylton High School in Woodbridge. Kyle Wilson was a Tech I Firefighter with the Prince William County Department of Fire and Rescue. He died in the line of duty on April 16, 2007 and his sacrifice will never be forgotten. Prince William County was proud to name Kyle R. Wilson Elementary after him in honor of his courage, kindness, and strength. Funds raised will be used for books and subscriptions along with fitness equipment for the elementary school. 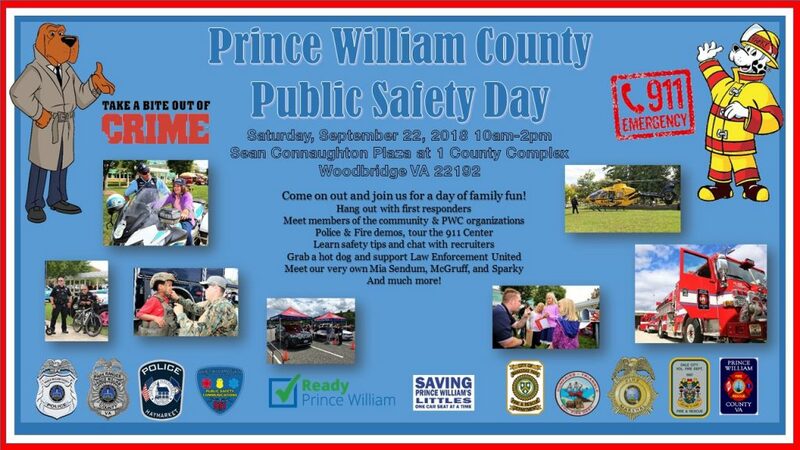 Meet local members of our Fire and Rescue Department and Police Department and check out the firetrucks too! Amazing raffle prizes are available. Tickets will be for sale for $1 per ticket, or 14 for $10. Must be present to win. Raffle will be drawn at 10:45 a. m. so don’t miss it! The event will be at the Hylton HS Track, 14051 Spriggs Rd, Woodbridge, VA 22193. Walk starts at 10:00, gate opens at 9:30 a. m.